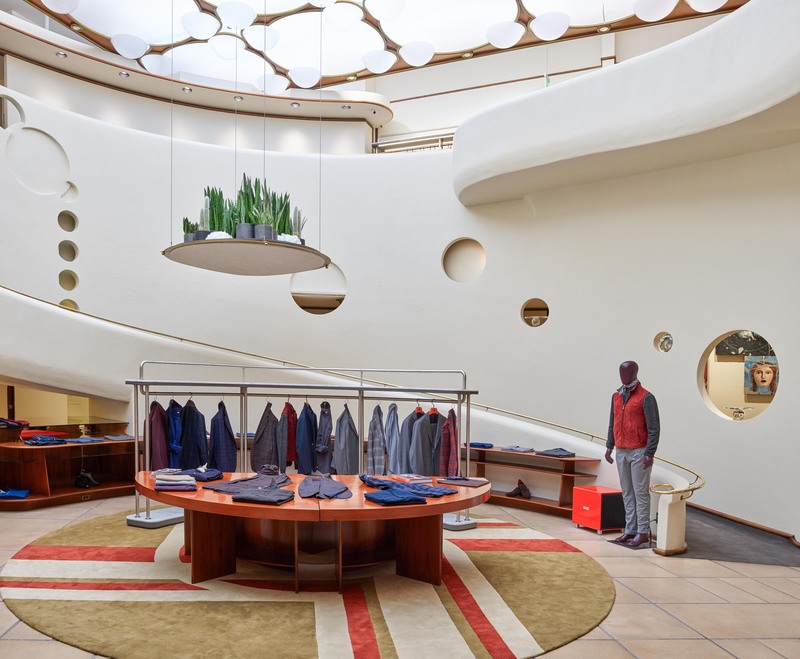 Two exclusive rugs created by Illulian embellish Isaia’s boutique, the iconic Naples-based luxury menswear firm, which opened its latest shop house in the historic Frank Lloyd Wright Building, at 140 Maiden Lane in San Francisco. Formerly home to the V.C. 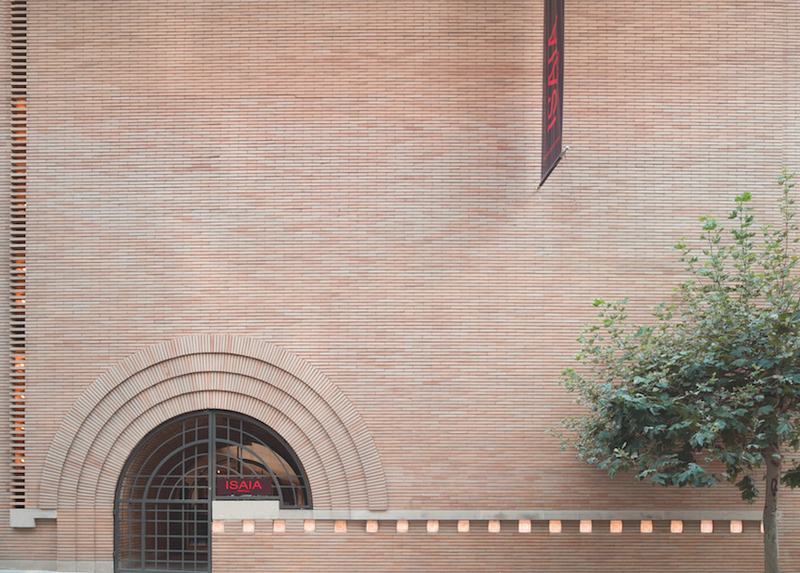 Morris Gift Shop, the store – a true architectural jewel – boasts a space of 7.900 sq m, where Isaia’s glamorous style perfectly match with the architectural elements of the historic building, whose spiral ramp portrays on a smaller scale the now legendary stairway theme that Lloyd Wright would later designed for the Guggenheim Museum in NYC. The result is a unique and high-end shopping temple enriched by customized furniture and vintage accessories. The rugs by Illulian are based on the drawings of interior designer Alberta Saladino with architect Martino Ferrari: a reinterpretation of motifs from the 50’s readapted on a round shape to respect the sinuosity of the space designed by the famed architect.